Datsun Cross on road price in your city is not available right now, Set an Alert and we will keep you updated. What is the cc of Datsun Cross? I think it is the best car for me and I want to buy this car. Please notify me when its launch. 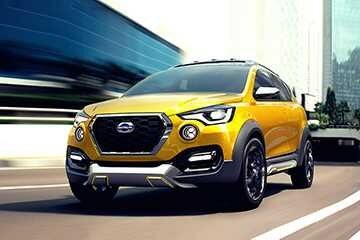 Datsun Cross Revealed; Will It Come To India? The Datsun Cross will most likely feature Nissan’s X-Tronic Continuously Variable Transmission (CVT). Datsun is looking to prepone the launch of the GO Cross to 2017 based on the tremendous response it received at the Expo. Datsun Go Cross Concept Gallery: Have a look!